Denver, Colorado court awards Miller Friel clients 2.5 times policy limits in punitive damages award against AIG. Denver, Colorado court awards Miller Friel clients $12.7 million for breach of contract, bad faith and punitive damages. 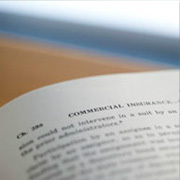 As reported by Insurance Law 360 on March 1, 2013, Miller Friel recently settled a $123 million property and business interruption insurance claim on behalf of Capsugel Holdings US, Inc., a major pharmaceutical and healthcare company based in Morristown, New Jersey. Capsugel's major production facility in Thailand was destroyed by the massive flooding that struck that country in 2011. Capsugel, a company with facilities in a number of countries around the world, placed its insurance through a combination of a local Thai insurance policy and a global insurance program insured by three of the largest insurance companies in the world, Allianz, Zurich, and XL. Click here to view the Complaint or click here to view the Order of Dismissal.